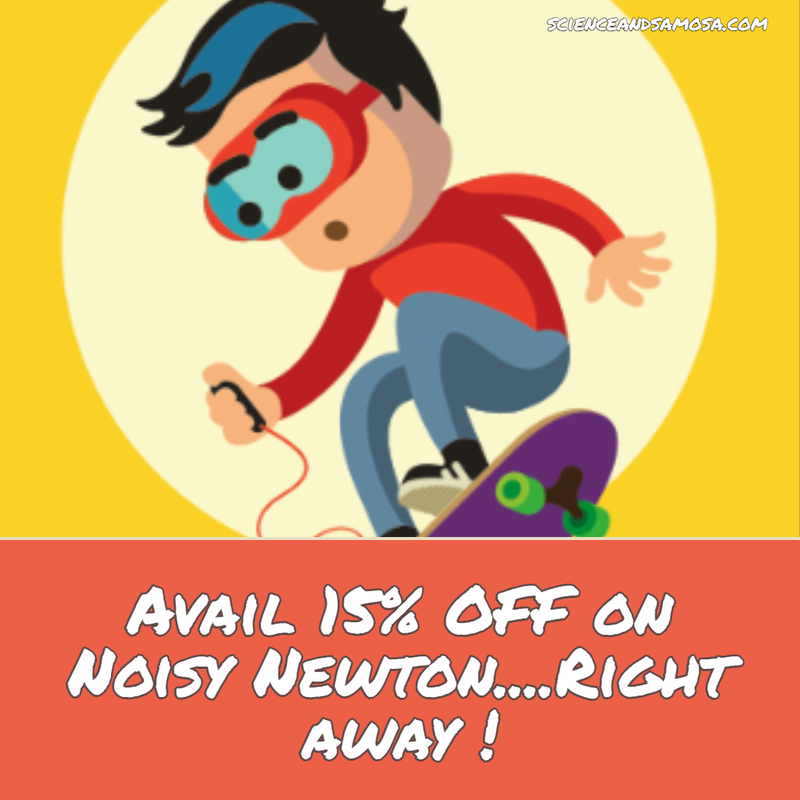 Spark your Childs Imagination with Noisy Newton! Are you a parent looking for new and unique options to spark the creative expression and innovation in your child? Are you exploring how to incite analytical thinking and love for science in your kid? If yes, you must surely give Noisy Newton a try! As a mom to two ever curious children, I always gravitate towards interactive learning products that not only challenge small minds alike, but they don’t require batteries or electronics & much paraphernalia from home. I love activity driven products that keep my kids intrigued and interested. A great way to science learning is through an intellectually designed, well crafted activity box. With the Newton box, your kid’s ideas are bound to multiply and creative play would a way of discovering life around them, without coercion. The point which gives Noisy Newton an extra brownie compared to rest of the activity boxes in market is that this product is designed around science concepts and it is tailor-made to invoke applied thinking and problem solving skills in kids. And that is what got me intrigued about Noisy Newton. The Noisy Newton activity boxes are designed painstakingly to make children discover science in real world scenarios with awe. It is suitable for ages in the band 5-15. Research has shown that a strong interest and liking for science built during foundational years leads to significantly better academic outcomes in the later years. Noisy Newton themes are unique, applied & uses 100% safe products. The lab ware is as real as it can get! NN Adopts a radical approach to learning while having fun ensuring that the kids adore their challenging environment that Newton provides. It also helps them to enhance their memory skills and boosts their confidence. NN products are designed to integrate the 21st century needs to equip the young & every curious minds with the relevant skills to think beyond the school & textbooks. The product design is based on the Bloom’s taxonomy of learning. The theory states that every child goes through a hierarchy of incremental learning. 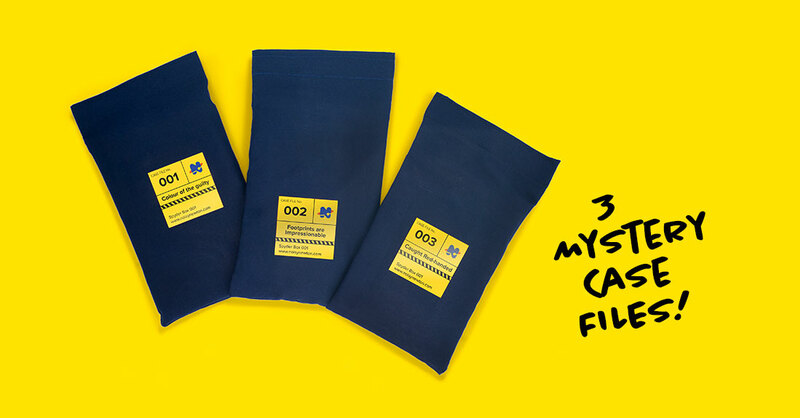 Each product is thematic & has elements of stories, experiments, games & collectible goodies. Each theme is unique, trans-disciplinary & caters to real world problems & solutions. The most interesting point from children’s point of view is that this activity box give them a chance to double up as DETECTIVE & solve THREE MYSTERIES. They would be able to show up their SPY skills in front of family and friends, as the box provides extra material to repeat the case. The box has in it a special thank you note for parents. This note reassures that as parents we have only made a right decision by opting for an activity box that can ignite the little curious minds. Experiment materials: Real lab ware & consumables required for executing the experiment with precision. Except water, you/your kid wont need to buy/use a thing more!! This unique product is the brain child of Leela Maitreyi-an erstwhile scientist, educator & a mother to an ever curious 9-year-old. The team has a robust mix of experts from fraternities across science, product design, pedagogy & technology. Their testing & review is handled by a team of children. This product is an outcome of a belief that science is learnt by doing & not by teaching through books & exams alone. Years of experience, skills and interaction with children have helped the team to make this box perfect. “I have not seen anything like this. This is super interesting “- This is what my daughter said after solving the mysteries. My daughter is 10-year-old, but by now she knows all about Chromatography or Science of pigments, Dermatoglyphics or Study of Fingerprints and Imprint analysis. All thanks to Noisy Newton. My daughter enjoyed her journey with Newton and Sherlock in solving the case and on the way she picked quiet some science stuff, which otherwise would have been boring. I am already planning to get another box from Noisy Newton. You can buy this product from Amazon and from Noisy Newton home page. I have an attractive offer for you all. Just click on this link and log on to their home page, add the box you like the most to the cart and add in the coupon code SCI&SAM15. Right away you will get 15% OFF!!!. But make it fast this offer is available only till 15th of August. Do try it out. My kids loved it. Use coupon code given in my blog to avail 15% off.